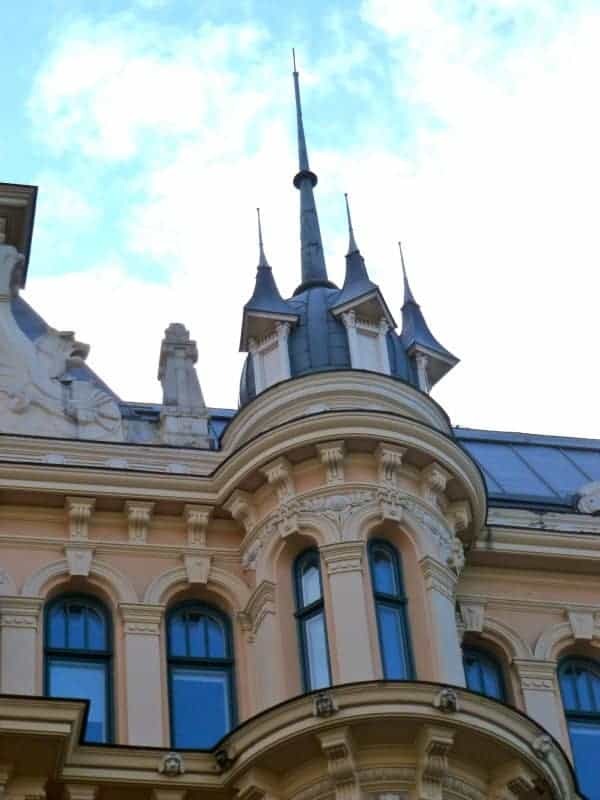 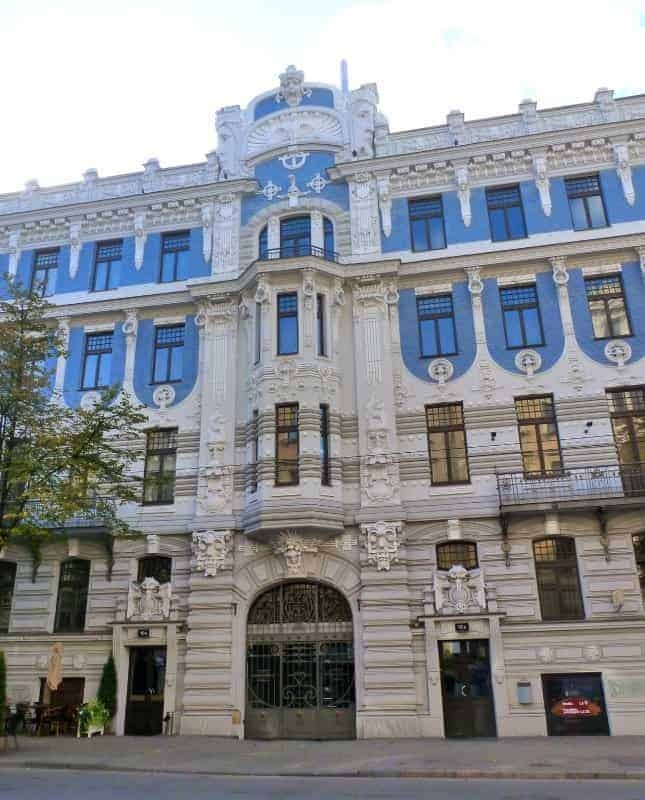 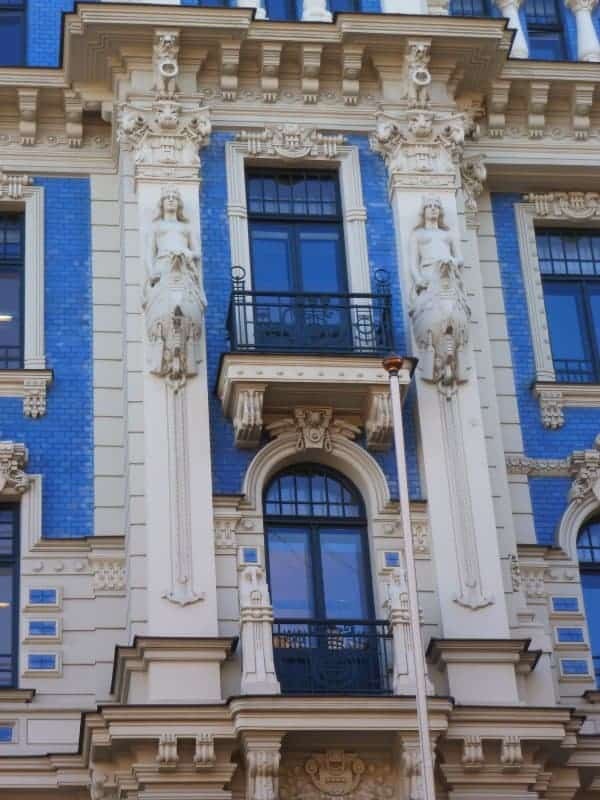 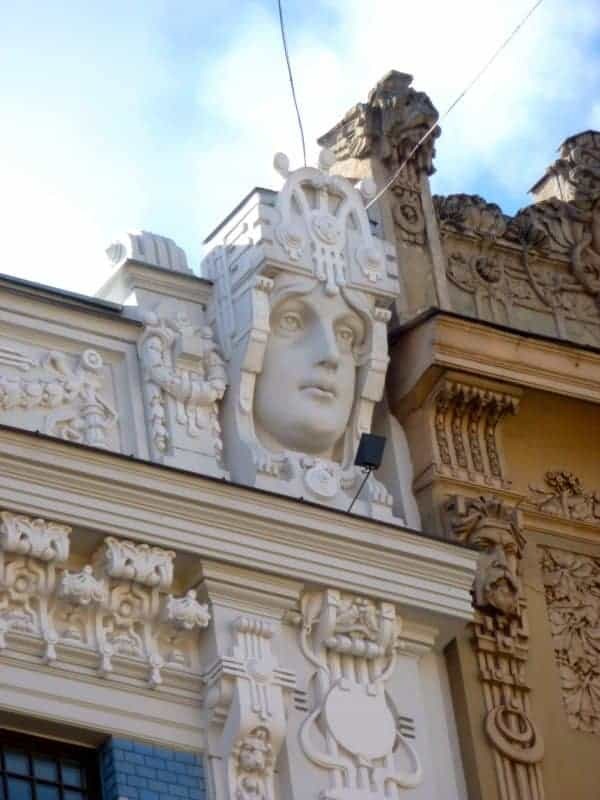 I knew that we’d see a lot of Art Nouveau architecture in Riga, but had no idea just how much – and how spectacular many of the buildings would be! 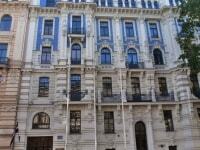 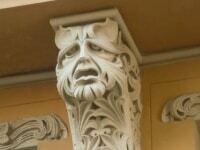 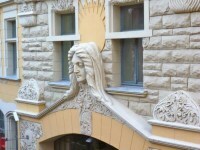 We visited the Art Nouveau Museum on our first day in Riga. 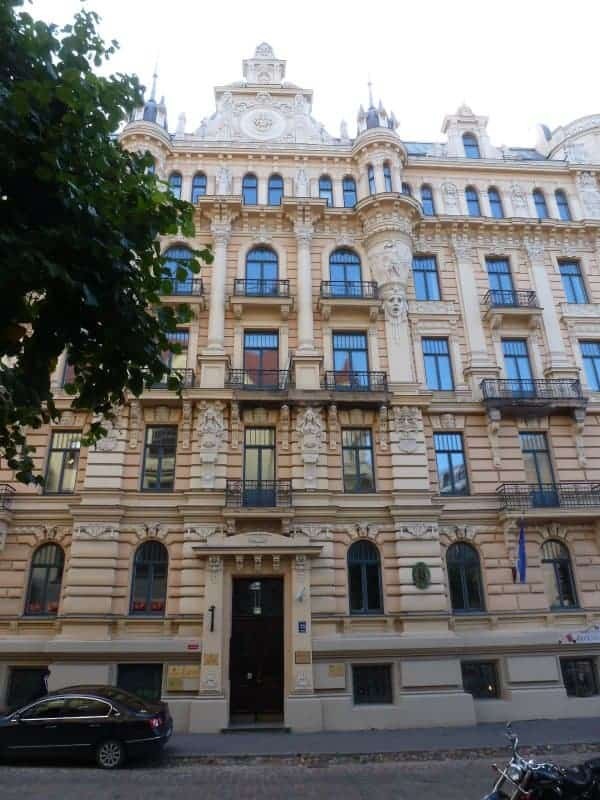 It poured with rain that day, so I couldn’t get any good photographs, though the weather couldn’t dampen our enjoyment of discovering a new city. 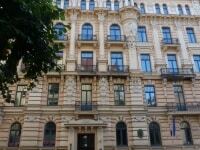 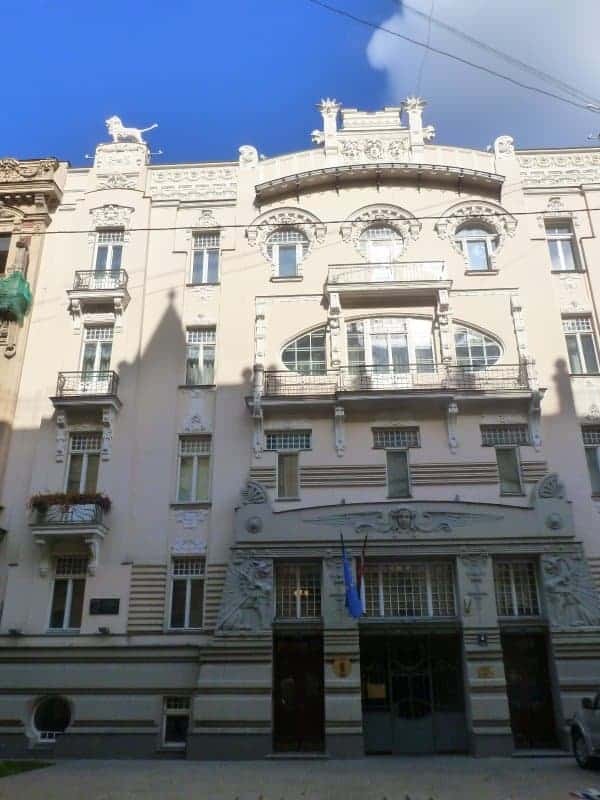 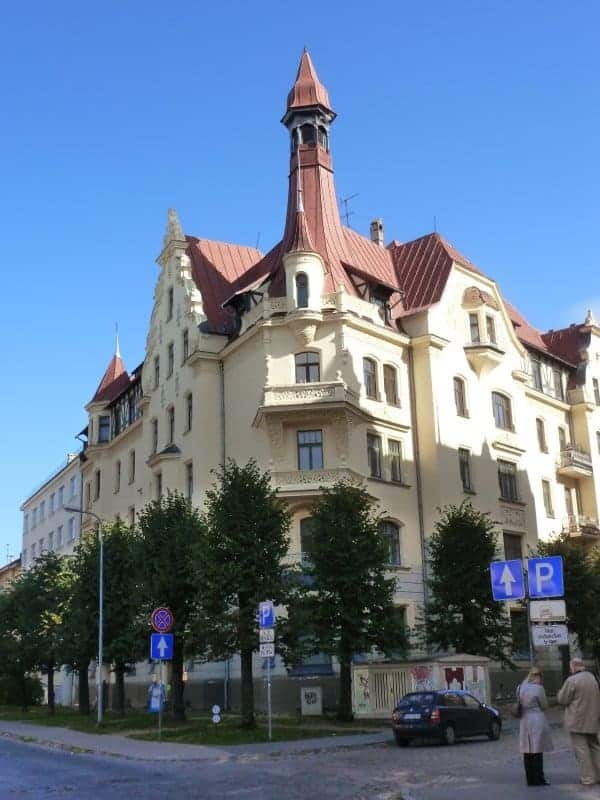 We found time to walk through the most opulent area around Alberta Street and Elizabetes Street again on the day we left Latvia, and then the sun was so bright that strong shadows were cast on many of the facades. 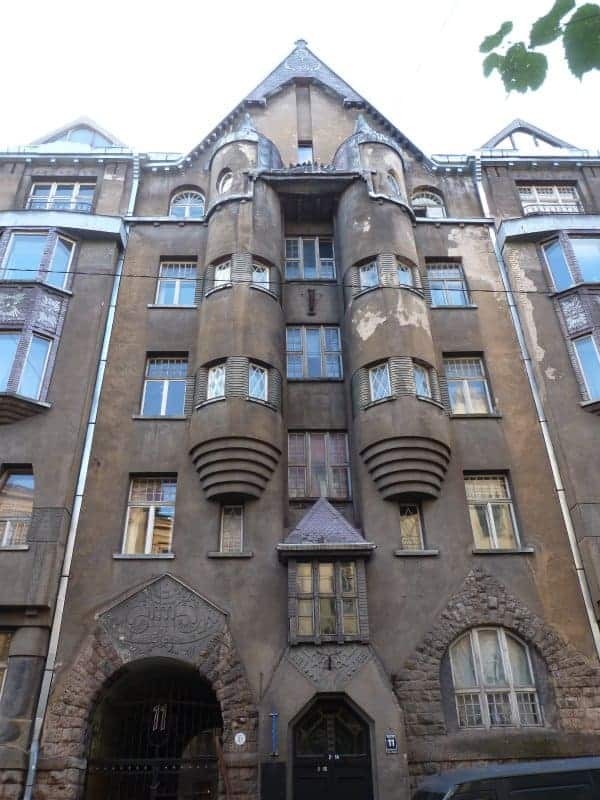 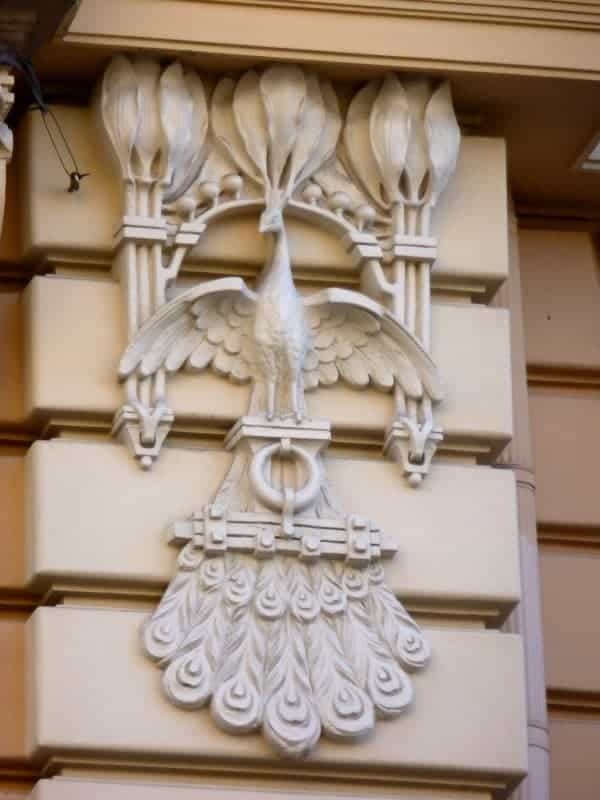 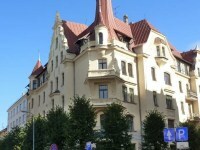 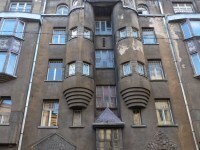 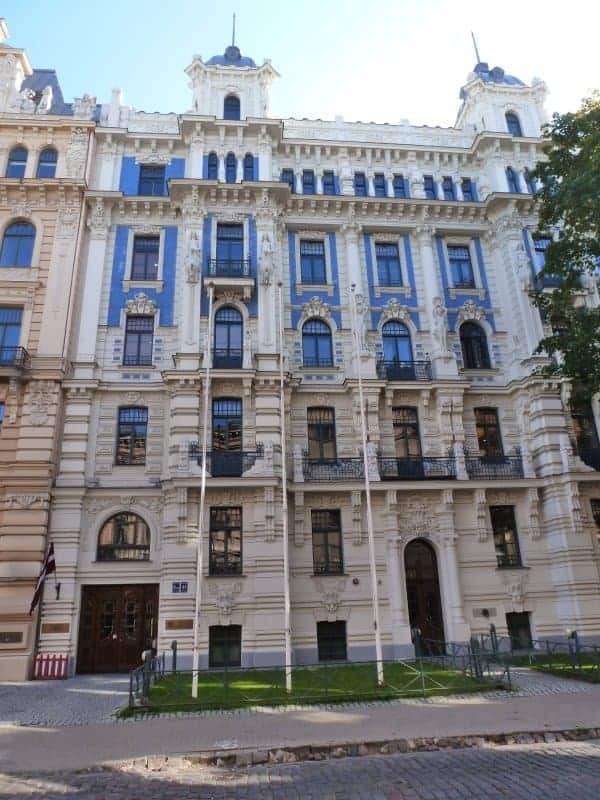 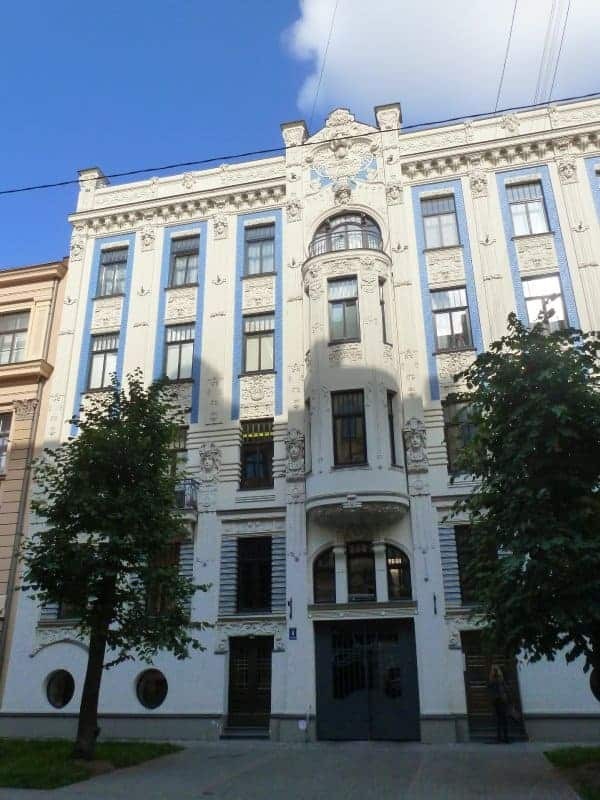 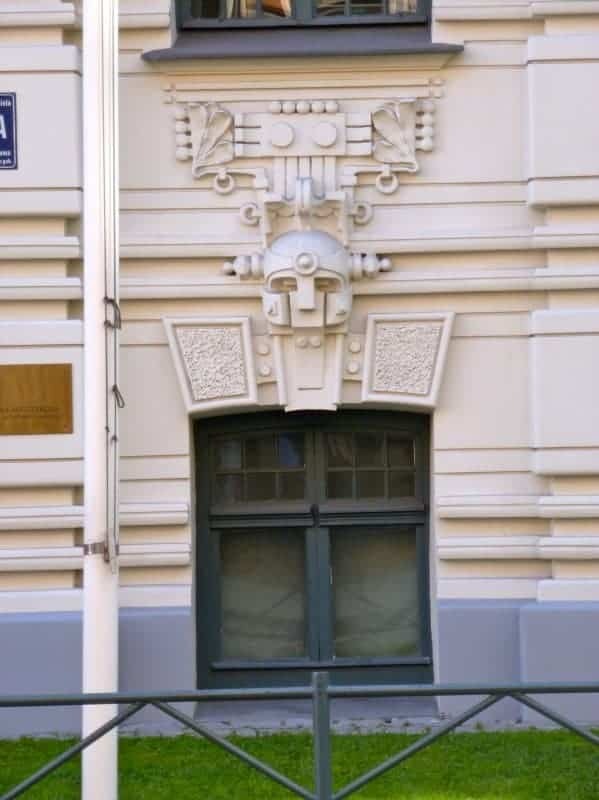 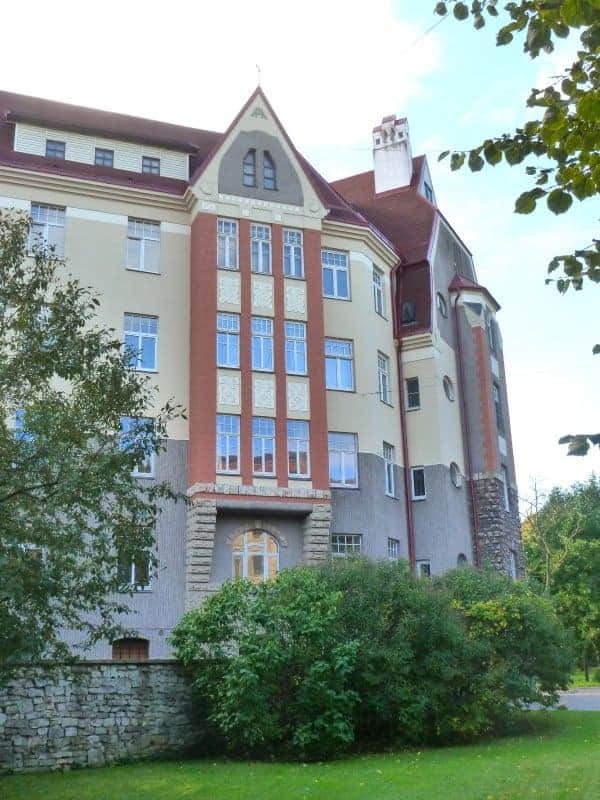 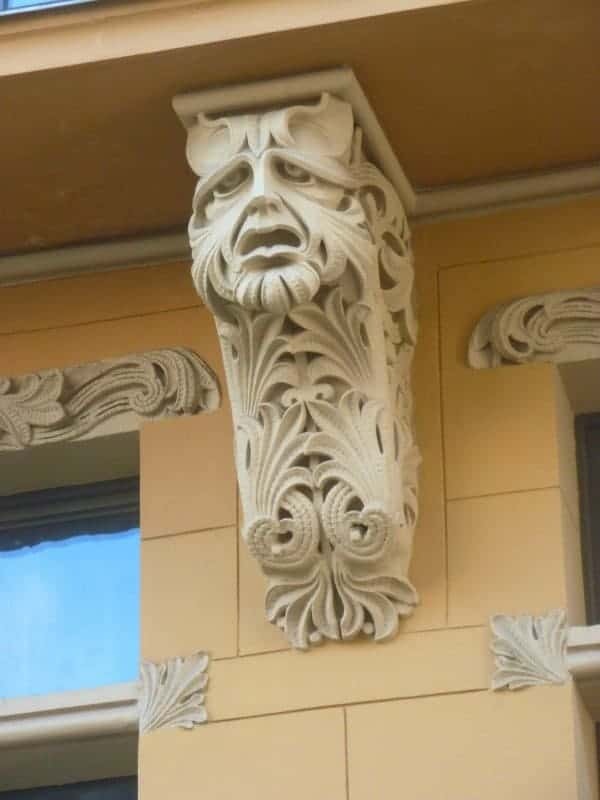 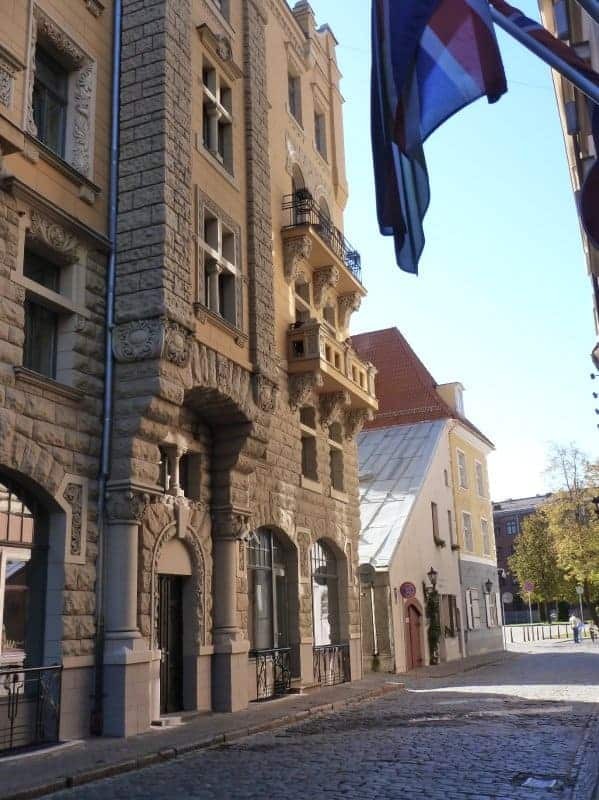 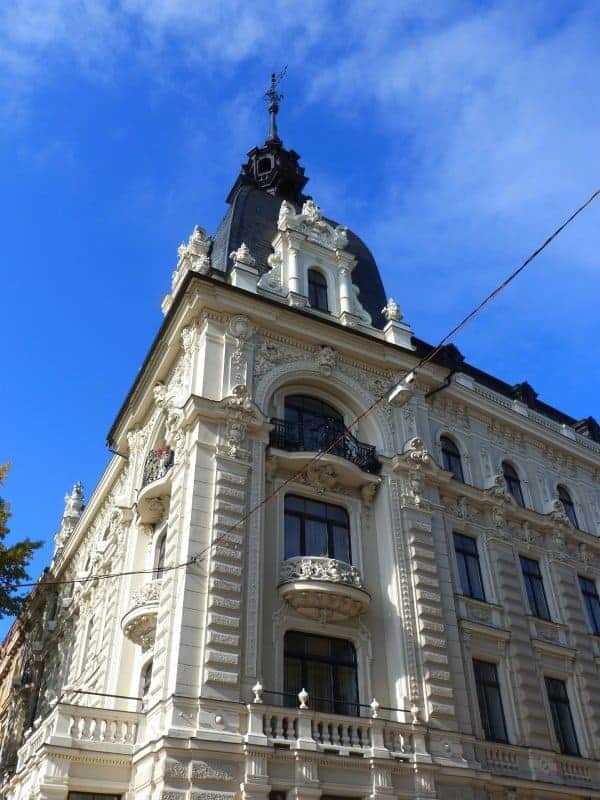 At the end of the 19th century/beginning of the 20th, construction of high-rise residential buildings boomed in Riga, and the prevailing style of Art Nouveau was enthusiastically embraced by Latvian architects. 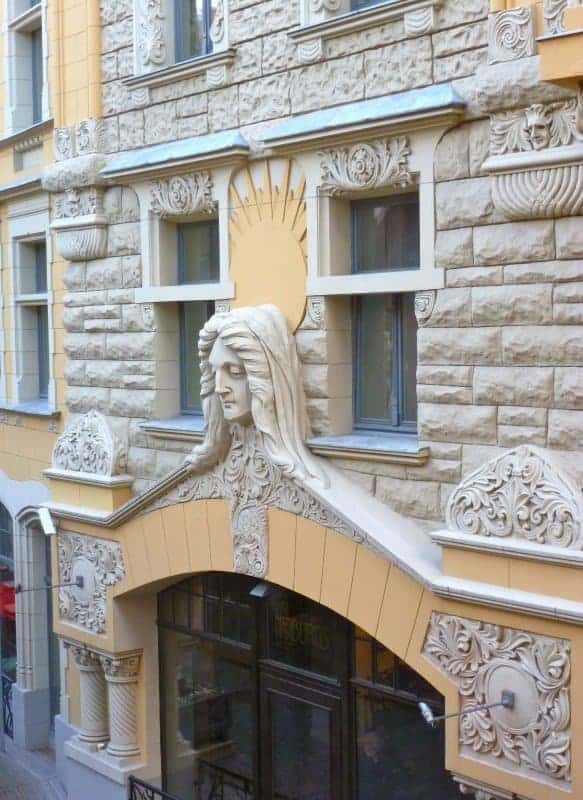 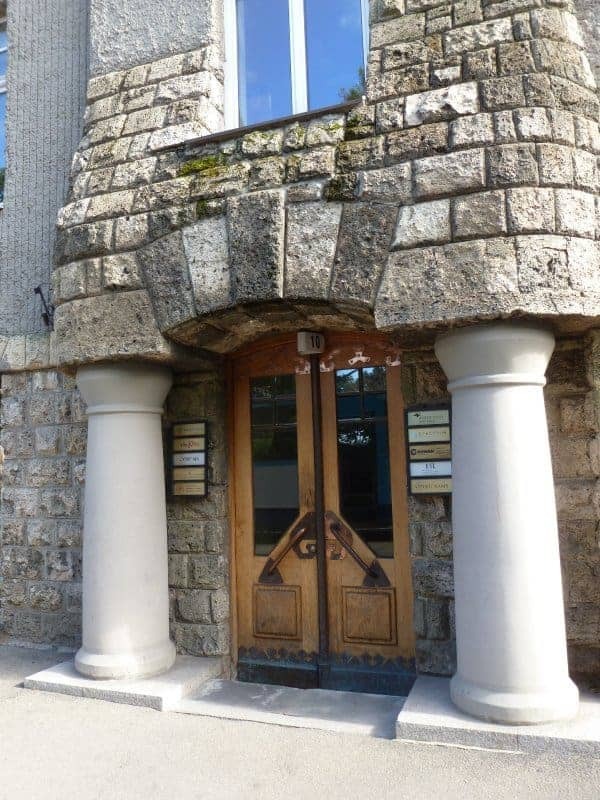 Art Nouveau allowed for a complete creative freedom of expression, with a tendency to treat all utilitarian construction elements as an opportunity for architectural flights of fancy. 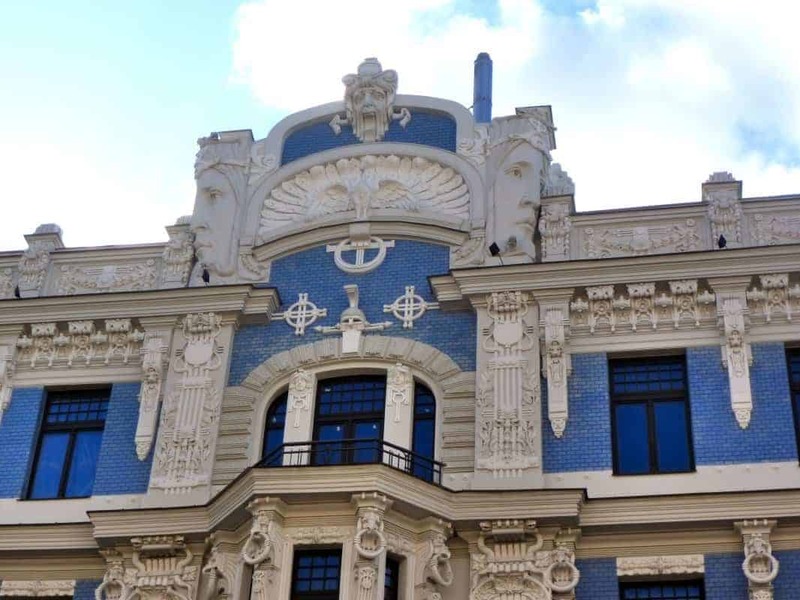 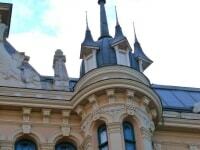 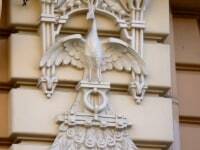 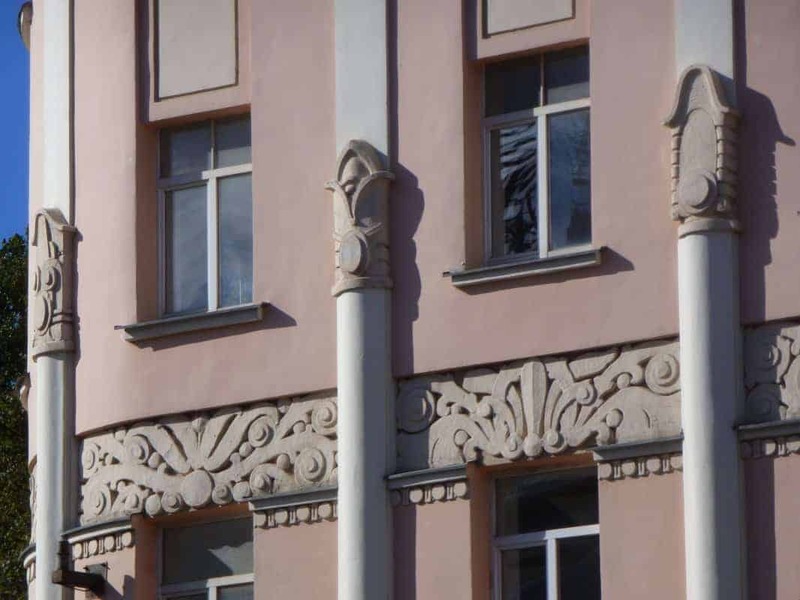 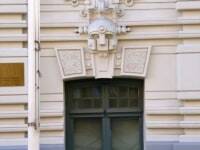 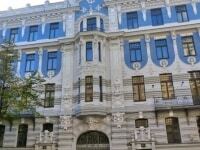 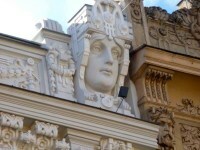 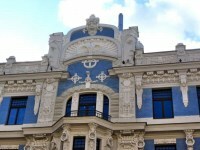 The characteristic features of Art Nouveau – sinuous lines and geometrical ornament – followed two main directions in Riga: the decorative and the ‘Romantic Nationalism’ styles. 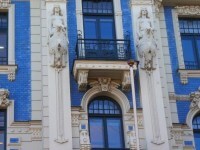 Latvian architects who favoured Romantic Nationalism were Eižens Laube, Konstantīns Pēkšēns and Aleksandrs Vanags. 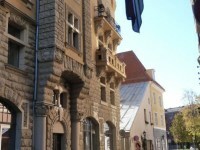 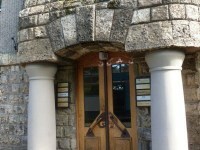 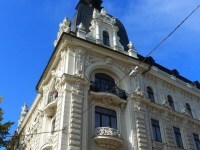 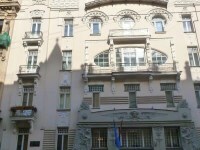 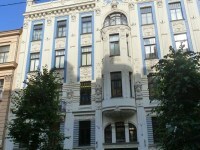 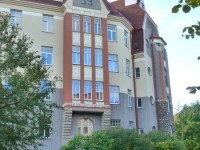 (The Art Nouveau Museum is located in the apartment in Alberta Street where Pēkšēns lived until 1907.) 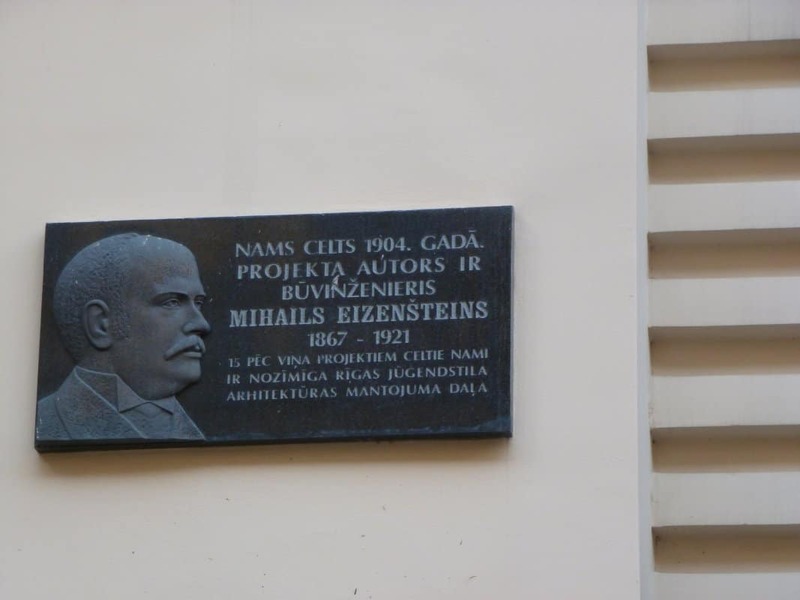 The most noted architect of the decorative Art Nouveau style was Mihails Eizenšteins, father of the pioneer film-maker of the early Soviet era, Sergei Eisenstein.